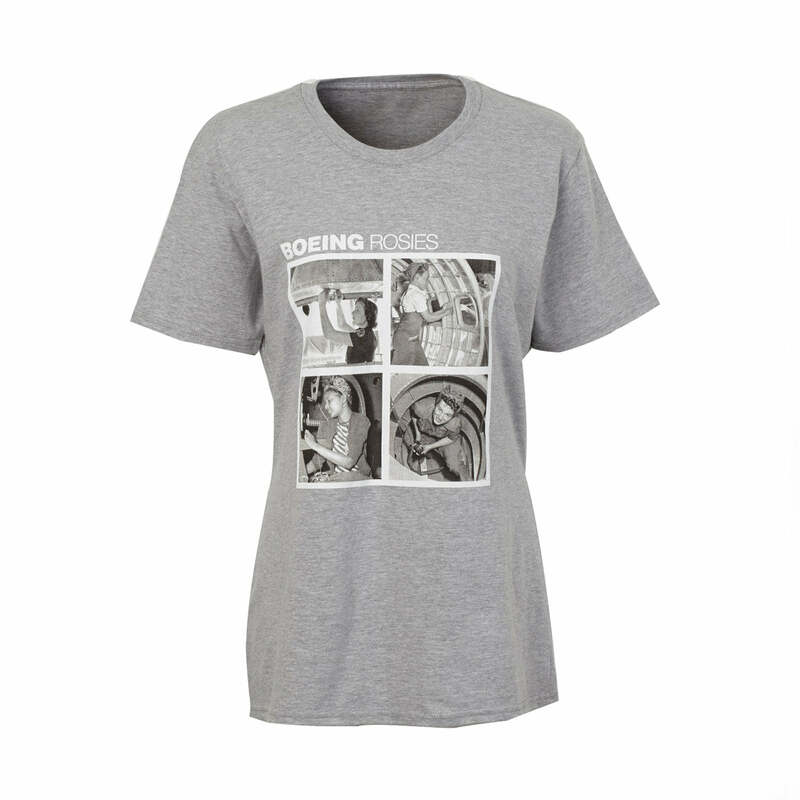 Capturing the spirit of the iconic Rosie the Riveter and her slogan “We can do it!”, the Boeing Rosies T-shirt honors the contributions of women during WWII who paved the way for equality in the home and workplace. Athletic Heather. Printed in the USA. Imported.